Social Media Director Andre is 14 years old and has been a Wonderland BookSaver since its inception in 2012. He is a student at Roger Ludlowe Middle School and plays basketball and violin. He loves both reading and helping people that are in need – so from the start, the Wonderland BookSavers has been a perfect fit for him. In this picture Andre is organizing some of the new books the WBS received from First Book when they were recently in Tennessee. Andre really enjoys spending time with friends and being part of a team of kids who work hard to help their community. His favorite book is Belly Up by Stuart Gibbs. Andre is looking forward to being a Wonderland BookSaver for many years to come. Vice Chairman of the Board/Vice President I am 14 years old and as a founding member of the Wonderland BookSavers, I have been reading, saving and donating books since I was 8 years old. In this picture I am with our friend Julio, he brings our books both to local children and to children as far away as Peru. These sticker books are going to Peru. I know the children there will love them. I love to read, one of my favorite authors is Rick Riordan. I also like hobbies like Legos, wood shop and cooking. This is my third year participating in a Shakespeare Troupe, Penny Lane Players. This year we performed “Macbeth.” I have also acted in “A Midsummer’s Nights Dream” and “Henry V.” Our Wonderland BookSavers team has competed in Destination Imagination for the past four years. This year I also competed in National History Day, the theme was Leadership and Legacy. I created an exhibit about Mother Teresa who founded the Missionaries of Charity, an international organization with over 1,000,000 volunteers dedicated to helping “the poorest of the poor.” Mother Teresa has been an inspiration for me as we try to get more books to more children each year. CEO Ex-Officio Claire is eighteen and has been participating as a founding member of the Wonderland BookSavers, since its inception in 2012. An avid reader, she enjoys contemplating inspiring pieces. She appreciates the uniqueness of this charity and its literary ties as each year The Wonderland BookSavers draws ideas from the books they read, and apply those inspirations to helping others.. Two of her favorite books that she read as a Wonderland BookSaver include A Single Shard by Linda Sue Park, and Through the Looking Glass by Lewis Carroll. The former kindled perseverance toward the charity’s mission, while the latter provoked the creativity of their approach to the execution of projects. Both stimulated service, facilitating the journey of WBS donations. Other areas of interest include singing, writing, historical research and spending time with friends. Additionally, Claire hopes to continue to contribute to and expand the Wonderland BookSavers during her time attending Connecticut College. She is proud to be a Wonderland BookSaver, saving over 200,000 books and helping kids, “one hill, one valley, one day at a time”(The Single Shard, Linda Sue Park). 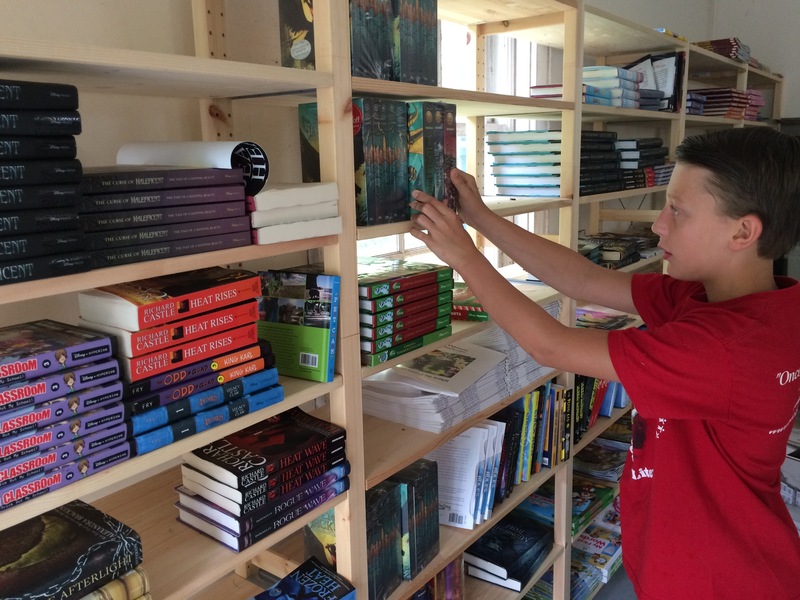 Warehouse Manager Creed is 11 years old and has recently joined the Wonderland BookSavers. As Warehouse Manager, Creed is in charge of seeing that all the books are properly sorted, boxed and weighed for shipping. He has to work hard to keep everything and everyone organized and moving quickly when the trucks arrive. Creed is a member of the Pequot Library’s Banned Book Club, the Secret Service Club and the local Boy Scout Troop. He hopes to be a Navy SEAL one day. Co-Head Book & Blanket Division Ella has helped in the Wonderland BookSavers since she was a toddler. She is now nine years old and is happy to be an official member of the Wonderland BookSavers! Her favorite book is the Bible and her favorite story in the Bible is Davis and Goliath. David was the youngest of his siblings, and Ella is the new youngest member of the Wonderland BookSavers! Even though David was small, he was strong and he killed the giant Goliath – who everyone else was afraid of – with a few stones and a slingshot. Ella, who is also small, is excited to be able to be a strong member of the Wonderland BookSavers, by being in charge of the blanket division. She loves reading and donating books to other children so that they can be happy and learn and enjoy their books. Chairman of the Board/President Emma has been participating in the Wonderland BookSavers since its establishment in 2012, and is a proud founding member. She is currently 16 years old and is excited to step up to the leadership position for WBS. She has always immensely enjoyed reading and relating to literature, and being inspired by it. She has recently enjoyed The Boys in the Boat by Daniel James Brown. This book is about defying the odds and working hard to accomplish whatever the team desires to accomplish, “Perhaps the seeds of redemption lay not just in perseverance, hard work, and rugged individualism. Perhaps they lay in something more fundamental – the simple notion of everyone pitching in and pulling together.” Emma hopes that as the current leader of the team, she can strive to follow this mindset, presented so poetically in Brown’s novel, and continue to bond the team as new members join, so that collectively they can advance the Wonderland BookSavers as a whole. Co-Head Book & Blanket Division My name is Emmeline and I am very excited to be part of the Wonderland BookSavers. I love to read and to volunteer. I also love to act, sing and dance, and love everything about musical theater. One of my favorite books I read this year was Inside Out and Back Again by Thanha Lai. It is a book in verse, which I loved, about a little girl named Ha who is a Vietnamese refugee in the United States after the Vietnam War, actually it is the author’s own story. It was very sad but also very inspiring. We were so inspired by Thanha Lai’s story that we held a bake sale at our community bookstore in Brooklyn to raise funds for Syrian refugees. It was a lot of fun. My favorite trip this year was to Peru where I got to teach English and read books with young children. One of my favorite memories was playing chess with one of the children. Elizabeth. I taught her the names of the pieces in English and she taught me a lot about chess! We had a lot of fun. Some of my other favorite books are the Underland Chronicles, Harry Potter and The Land of Stories. I love all my Wonderland BookSaver friends and love bringing books to kids around the world. Book Club Georgia is a new Wonderland BookSavers member who has already helped load several thousand books onto trucks, sending books to Nigeria, South Africa and Zimbabwe. As head of the Book Club segment of the Wonderland BookSavers, Georgia will keep members up to date with the latest reading and discussion topics. She helped make our yearly quotation posters, focusing on the teachings of St. Thomas Aquinas. Secretary I am reading The Gruffalo, by Julia Donaldson, to a pre-kindergarten class. Can you tell that it is St. Patrick’s Day? Henry Brooks is a student at Fairfield Country Day School. Henry has 5 siblings. Activities that he enjoys include playing the violin, baseball, lacrosse, hockey, and soccer. His favorite subject is reading. His favorite book from the Wonderland BookSavers is Inside Out and Back Again by Thanhha Lai. One of his favorite books outside of the Wonderland BookSavers is Percy Jackson: The Last Olympian by Rick Riordan. He has been a member of Wonderland Booksavers since 2012 and has enjoyed participating in Destination Imagination representing WBS. His favorite community service is Reading for Kindness and looks forward to sharing it with children across the United States and the world. Ex-Officio A founding member of the Wonderland BookSavers, Maddie possesses an energetic personality as well as an unquenchable curiosity. She strives to become adept at many different activities. Maddie is devoted to reading, sailing, lacrosse and her academics. Her favorite book that she has read in Wonderland BookSavers is Old Yeller by Fred Gipson. She is intrigued by the concept of a dog, an animal of fidelity, shaping a boy into a man as his father is absent during critical years of the boy’s life. Outside of Wonderland BookSavers, Maddie’s favorite book is The Great Gatsby by F. Scott Fitzgerald since the book accurately describes a society brimming with pleasure yet concealing the unseen plagues which are the fruit of such a lifestyle. Her favorite community service project within Wonderland BookSavers was their first book donation, in 2012, to New Beginnings Family Academy, because it was when she fully understood the importance of books to those who lack literature. COO Ex-Officio My name is Pierce and I am 18. I have been a member of the Wonderland BookSavers for years. When we first started I helped organize and box all the books. At that time we thought 20 or 50 boxes of books was a lot of boxes. Soon we thought 100 boxes was a lot. Now we can put 100 boxes on a truck and the truck is filled and we still have 100’s more ready to send out across the world. One thing that has been so surprising about this project is the number of kids that have gotten involved. Originally there were just 4, then 7, now 15. In total, we have had over 1,000 kids helping us with our donations. Having two younger brothers, I am accustomed to understanding and communicating with younger children, and I love getting kids excited about reading, books and helping kids around the world get a better education. In this picture I am packaging school supplies that we will be sending to Zimbabwe. Ex-Officio I am 19 years old, but I have been boxing books and loading trucks with the Wonderland BookSavers since I was 13 years old! My fascination with primary source research and African history has guided my involvement with Wonderland BookSavers. Last year I led a National History Day project (along with Maddie and Claire), focusing on King Leopold of Belgium’s Congo Genocide. Providing children in need with opportunities to read is a priority for me because I believe reading is not only the key to success, but also to a life long love of learning. 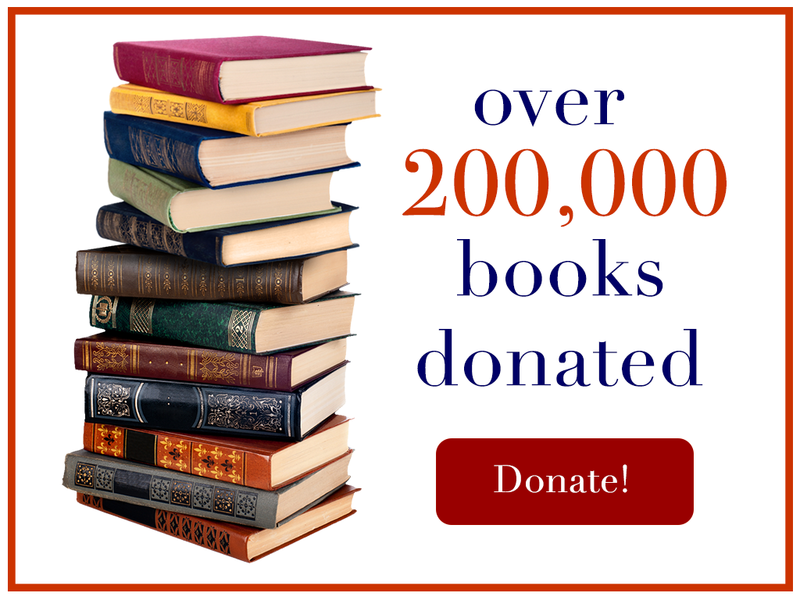 Wonderland BookSavers is special to me because we make positive change in people’s lives by providing them with the resources needed so they can develop their own abilities and strengthen their own environment, thus truly making a world of difference. Treasurer I am eleven years old. I like the Wonderland BookSavers because we are always reading new books. My favorite book I read this year is Because of Winn-Dixie, by Kate DiCamillo. This book is about the bond between a girl and a dog, and the impact it had on her life. I also belong to a library club called the Banned Book Club. Some books we read this year are Charlotte’s Web by E.B. White and Bridge to Terabithia My favorite hobby is playing baseball and my favorite team is the New York Mets and Giants. I also enjoy a variety of other sports. Books and school supplies are my favorite donation items to collect. One of my old teachers gives me pencils, crayons and markers almost every year, and we bundle them into shoeboxes and send them to Zimbabwe. I love bringing books to other schools. It is exciting to visit new schools and places and meet new kids. Sometimes you have to work really hard but i like helping out. One of the best parts of being a member of the WBS is that I have so many books, when I finish mine I can just go to my garage and get a new one! Head of Christian Ministry My name is Scarlett and I am 15 years old. I am a new member of the Wonderland BookSavers this year. I have been writing and reading along with other hobbies such as playing basketball, volleyball and hanging out with friends. I find reading to be very important because it promotes education while creating a fun activity for children worldwide, as well as letting people experience a new world, different from their own. I love reading anything from books to news articles and I especially enjoy pieces by C.S. Lewis, Annie Dillard, John Green and Steven King. Other than these authors I read an assortment of books from a variety of authors and genres. As a member of the Wonderland BookSavers I hope to help others while using the opportunity of service to grow in my faith. Through attending Catholic schools my whole life, I have learned the important value of faith, and I hope to bring this aspect of my life into the Wonderland BookSavers. Alison is our founding Team Manager. She has introduced us to our community partners and encourages us as we continually strive to accomplish new goals. She keeps us focused on our goal of global literacy. Alison graduated from School of Visual Arts in New York City, studying fine art photography. She has worked in carnivals as both a puppeteer and face painter. More professionally, she has worked as a business consultant with clients that include Toys R Us, Time, Inc., The Wall Street Journal and many others. Currently, she is President of the Board of Pequot Library and president of Glimm Analytics. She is the mother of eight children, and a team manager for several National History Day and Destination Imagination teams, all of which have successfully competed, over many years, at the National and Global levels. In addition to supporting the Wonderland BookSavers, Alison enjoys writing for her quirky blog, Homeschool HappyMess.